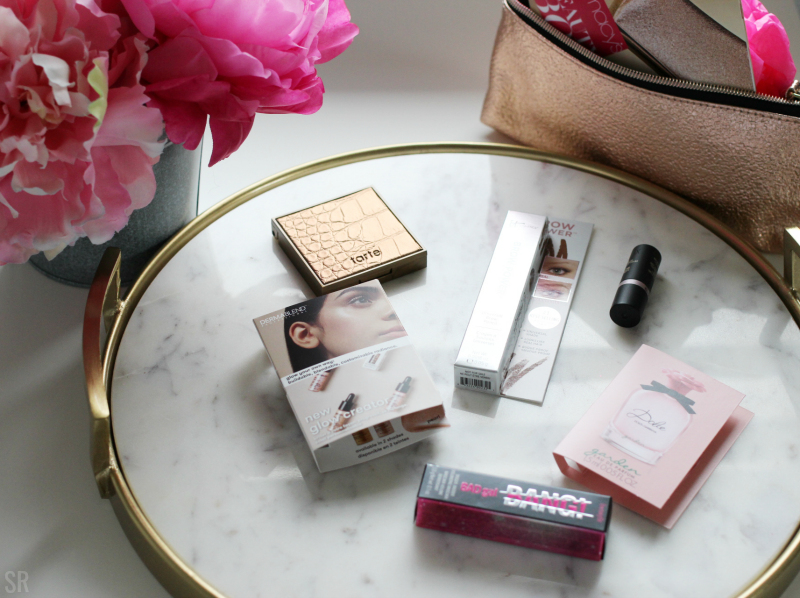 Have You Seen Macy's Beauty Box? I'm back with another subscription beauty box y'all. Chile, I tell you, I love all of the beauty products I have been trying lately. 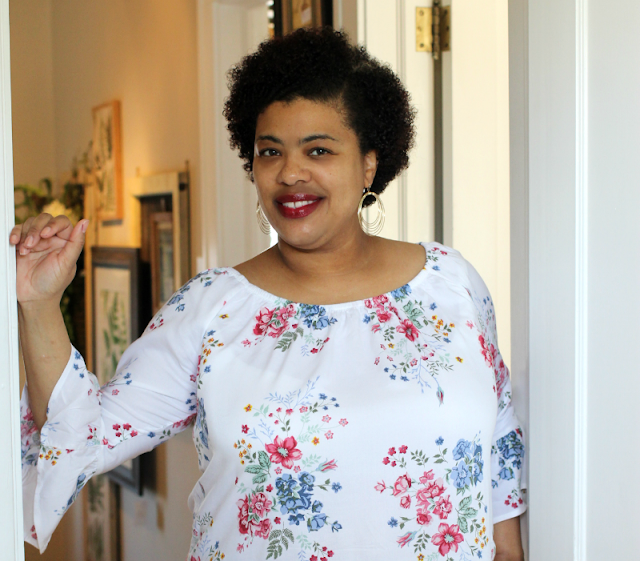 Today I'm featuring the Monthly subscription box from Macy's. I have been seeing this box around the Internets and it was on my mind to give it a try. 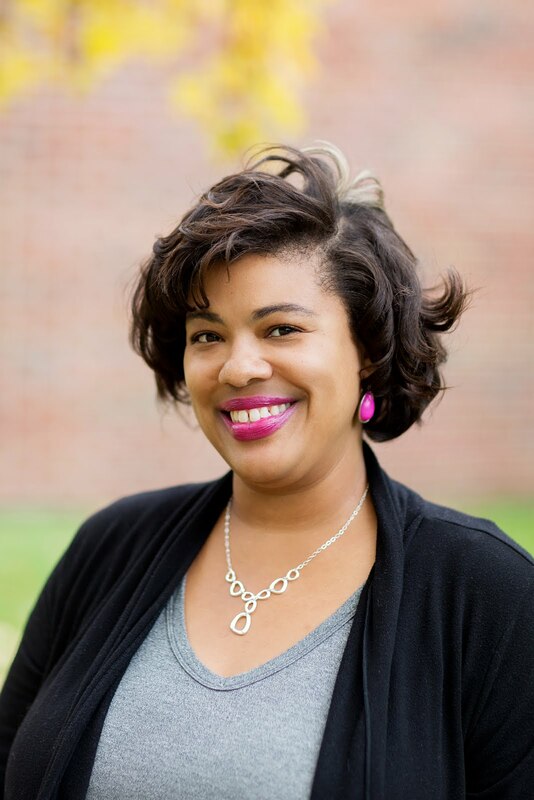 Then I was contacted about the Macy's Beauty Box I was more than glad to review it. I was sent the May box which isn't the current month's beauty box but it's cool though because I am trying to hold onto my summer glow as long as I possibly can. For $15 a month, you'll get a chic makeup bag, five deluxe beauty samples plus one bonus sample, and a $5 beauty coupon that can be used online or in store. Check out my Macy's Beauty box review below. 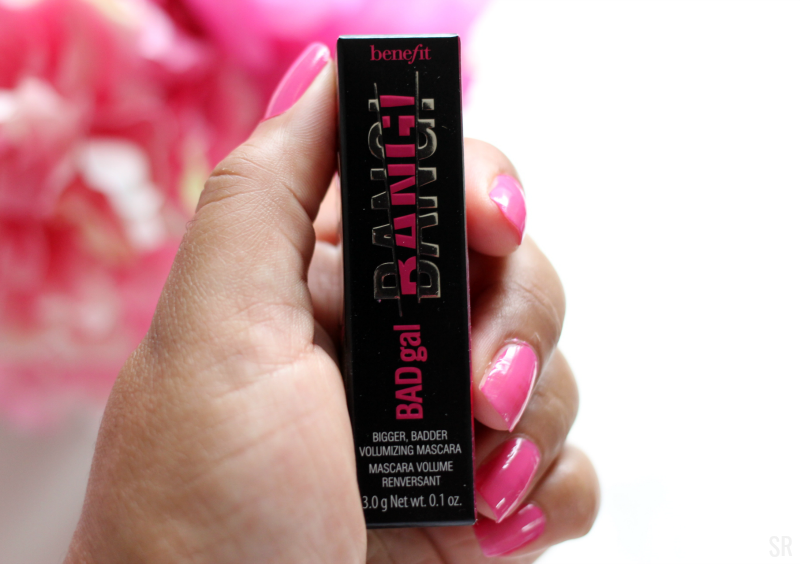 Benefit Bad Gal Bang! Mascara $24 is a 36-hour full blast volumizing mascara. It gives you full volume. Pro tip - this was designed to reach every last from route to tip on it to the corner. This is a long lasting mascara that is both smudge proof and water resistant. TARTE Amazonian Clay Matte Waterproof Bronzer in Park Avenue Princess $30. This mineral-based bronzing powder will give you streak free and flake free contouring. How to use - brush on top of your favorite foundation or cc cream to the sculpt and warm up the face. Dermablend Glow Creator Multi-use Liquid Highlighter $33. 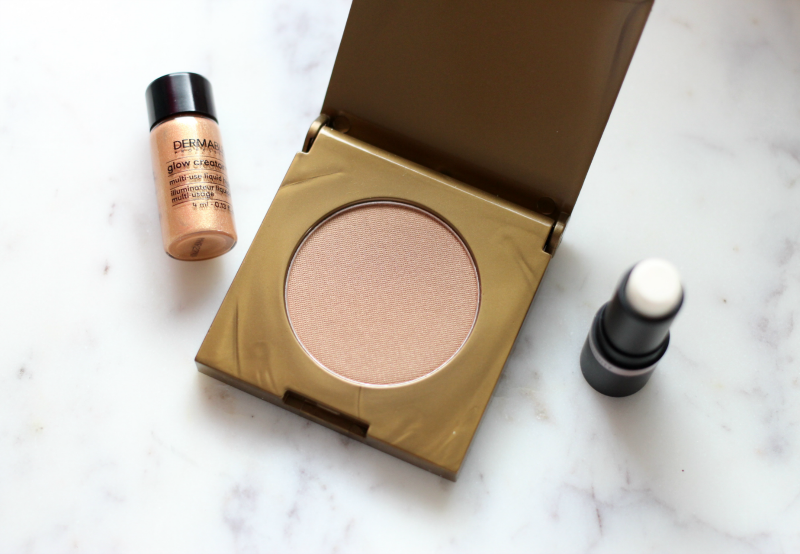 Illuminate your skin with the perfect blendable highlighter that is silky smooth. This smooth liquid highlighter blends well. How to use - Apply directly on your skin or mix it with your favorite moisturizer. Nudestix Nudies Glow All Over Face Color in Illumi Naughty $30. Brighten your look with this easy to apply stick highlighter. It is hypoallergenic, vegan, Gluten-free, cruelty-free, and fragrance-free. How to use - Apply directly onto the skin and blend with fingers. 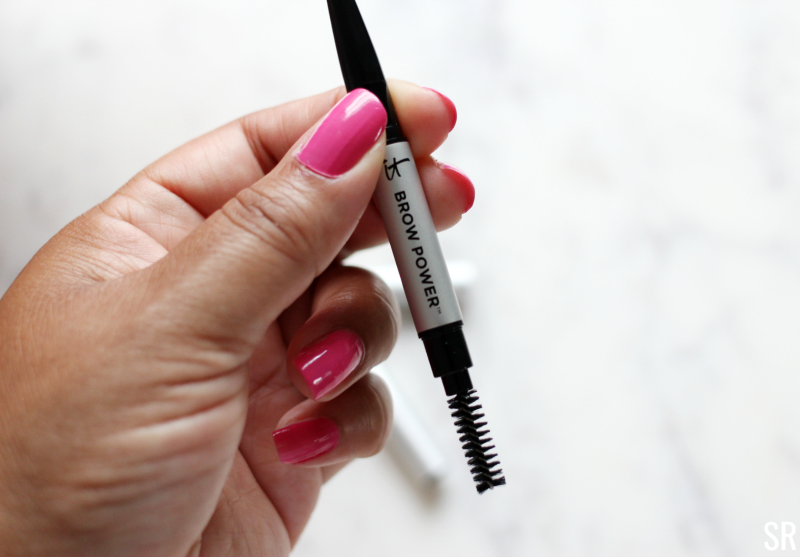 IT Cosmetics Brow Power Pencil $24. Create the perfect bra with this unique oval shaped pencil. How to use drywall short of words strokes throughout the brow eyebrow and blend with the spoolie brush. 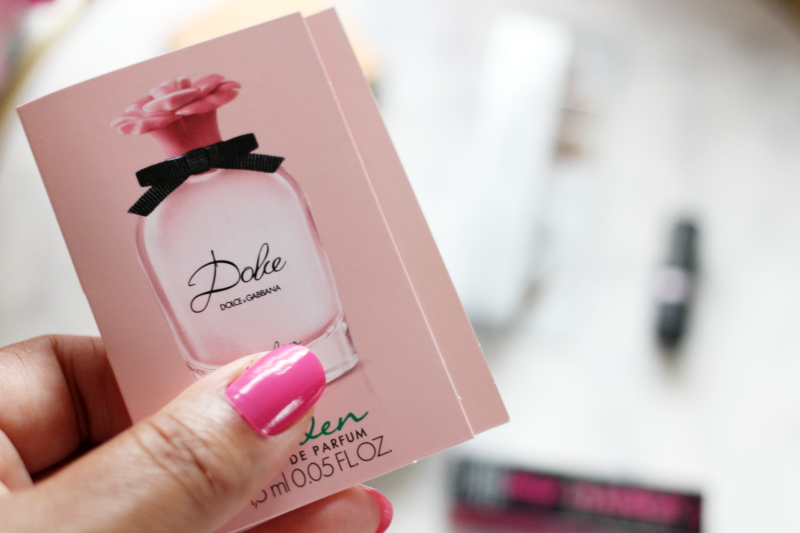 Dolce & Gabbana Garden Eau de Parfum spray $76. Light, airy and fresh. This is a floral summer scent. My Macy's Beauty Box also came with a gorgeous rose gold-ish/ bronze metallic pouch to keep all of my makeup samples inside. Oh and I'll be using that $5 off beauty coupon too! I like it. Getting high-end beauty samples is a treat for me. Usually, you get free beauty samples at Macy's but only when you make a purchase. With this beauty box, I can get the samples for an affordable price. One thing I will mention is that the box doesn't come in fancy packaging like other beauty boxes. The Macy's Beauty Box came in a white cardboard box used in shipping. Everything was neatly packed though. I don't really use highlighters or bronzers so I probably won't use them, especially since we're now looking at wearing our fall beauty products. My favorites are the IT Cosmetics Brow Power Pencil and the Benefit Bad Gal Bang! Mascara. They will get plenty of use! Want to try out the Macy's Beauty Box? Sign up here! 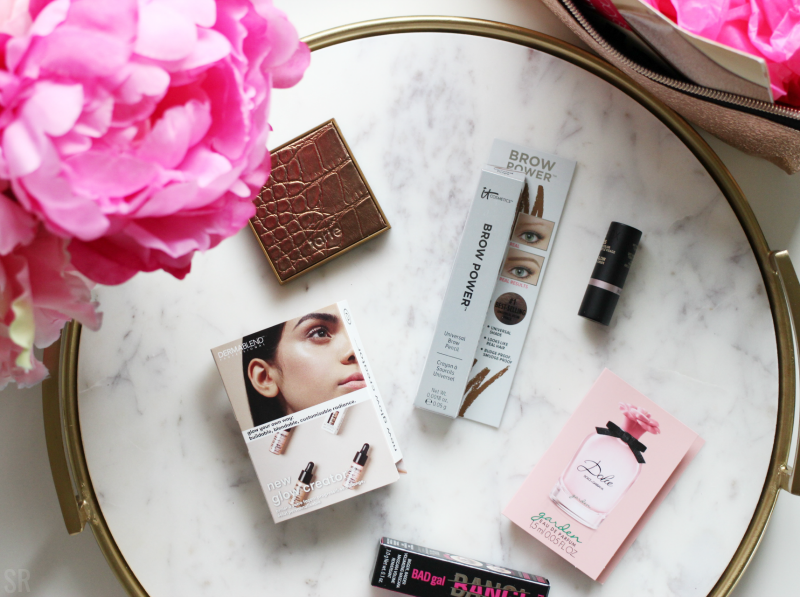 Have you tried Macy's Beauty Box yet? You got some great stuff! The mascara really got my attention. Mine too. 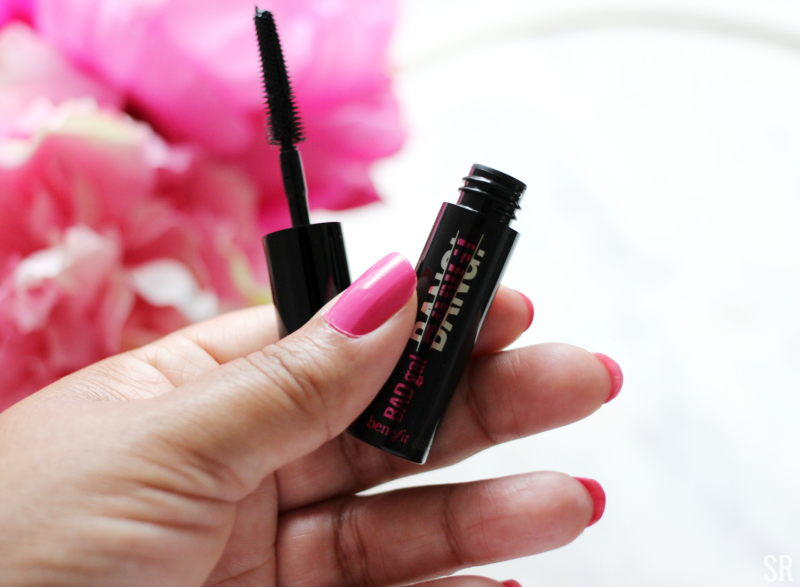 I love Benefit mascaras so I can't wait to try this one. I had no clue Macy's had a box. I love their store so I'll make a point to look at getting a box. There's so much cool stuff in them and I'm missing out. It's a great way to try stuff out before you buy it too. That is a great bang for your buck. I’m dabbling in the beauty products space, so this would be a great way to see what I like. Exactly! And you can't beauty a beauty box for $15. Macy's just has everything, doesn't it? I just found out that Macys has a wine club and now i see they have a beauty box too! And that beauty box is on point. Wow, I had no idea they had a wine club. I don't really do makeup so I don't participate in the beauty subscription boxes, but I know several that do so thank you for sharing so I can tell them all about it! You stay in the know about the latest beauty stuff girl. That mascara and brow powder would probably be my fav as I'm not huge on makeup. I did not know Macy's had a beauty box. I actually haven't shopped Macy's in years. I love that so many stores have beauty boxes now. I have not tried the Macy's beauty box yet but like you getting these would be a treat! I definitely know some ladies who would love this as a gift also. Good idea, this would make a great gift. I’d heard about the Macy’s box but hadn’t tried it. I have 2 boxes I’m subscribed to and I think that’s my max! I hear ya, it can add up quick. Those look like some great products! I'm most intrigued by the mascara, brow powder, and fragrance. Those were my faves too. That mascara!!!! I didn’t realize they had a beauty box will definitely be checking it out! Girl! This mascara is everything you want it to be. such a cute box, I just might have to try one!